Last year it was a maze this year it’s a beach. 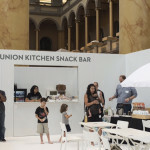 Washington, DC’s Building Museum has pulled out all the stops for their summertime tourist attractions in the past and this year is no different. 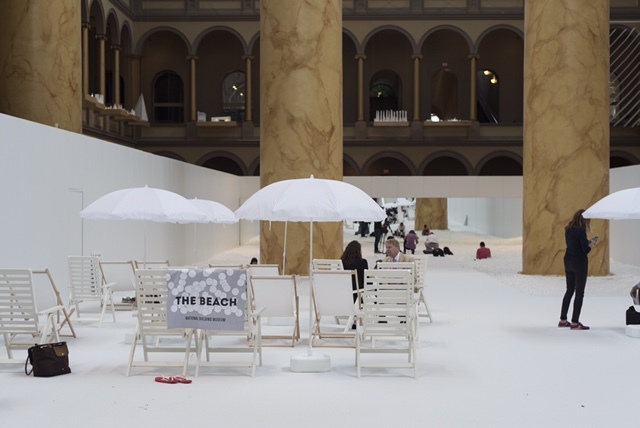 “The Beach” is a public art installation in the museum’s main floor that includes a carpeted deck and the best part: a wading pool made of 1 million clear, recyclable balls. The idea of “swimming” in balls (a la Chuckie Cheese) may have already sold you but there’s more. 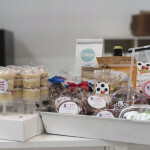 Union Kitchen, our shared incubator where our popcorn is produced, was tapped to run the snack bar. So not only do you get to act like a beach goer, you get to eat like one too! Our popcorn is one of the many local, tasty treats on the menu so when you check out this fab exhibit, we hope you’ll support us. The pictures you see here are courtesy of Washingtonian.com and you can check out their write up on “The Beach” HERE. We’ve also copied the dates and times for the exhibit below. Enjoy! The exhibit opens July 4 and runs through September 7; open 10 AM to 7 PM Monday to Saturday, and 11 AM to 5 PM Sunday. Admission $5-16.